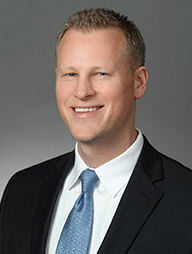 Jared Mueller has spent his legal career as a litigator and has earned a reputation over the past decade as a problem solver who focuses on resolving conflicts efficiently. He understands how litigation can disrupt a business or public entity and works diligently to bring sides together in a way that benefits his clients. His ability to reach favorable pre-trial resolution is bolstered by his experience in the courtroom. From a federal jury trial brought under the Comprehensive Environmental Response, Compensation, and Liability Act (CERCLA or Superfund) to ongoing federal bench trials brought under the Endangered Species Act (ESA), Jared handles litigation from inception through trial. Whether the stakes include millions of dollars, finite natural resources, or onerous injunctive relief, his holistic perspective toward the process affords the ability to focus squarely on what matters most for his clients: their future. While no result is ever guaranteed in court, he believes that a counsel’s painstaking attention to detail, careful analysis, and good judgment is a client’s best means to securing a prosperous and litigation-free future. Jared’s clients consist of public entities and businesses, from counties and irrigation districts to farmers and other water users. However, his litigation background includes cases involving constitutional law, personal injury, medical malpractice, construction defects, employment, and various business-related disputes. As the father of young children, he spends most of his time outside of work focused on family, but he continues to look for rare occasions to take off to a beach with his wife or hit the slopes with his friends. Represent water conservation district in federal court trial brought by environmental organizations seeking removal/replacement of diversion dam and reductions in water diversions pursuant to the ESA (Wishtoyo Foundation, et al. v. United Water Conservation District, Central District of California, Case No. CV 16-3869). Represent irrigation districts in defense of federal court lawsuit brought by environmental organizations challenging long-term water rights settlement contract renewals under the ESA (Natural Resources Defense Council, et al. v. Ryan Zinke, et al., Eastern District of California, Case No. 1:05-cv-01207). Represent irrigation district in federal district court claim against federal government related to construction of facility in the Sacramento River, alleging damages arising out of breach of contract. Represent farmers and water users in federal district court in Oregon challenging agricultural operations and methods on federal lease lands. Represent intervenor irrigation districts in federal court against Oregon tribe seeking reduced discharges from Upper Klamath Lake pursuant to the ESA (The Klamath Tribes v. United States Bureau of Reclamation, et al., Northern District of California, Case No. 18-cv-03078). Represent intervenor irrigation districts in federal court against California environmental organizations seeking increased discharges from Upper Klamath Lake pursuant to the ESA (Hoopa Valley Tribe v. U.S. Bureau of Reclamation, et al., Northern District of California, Case No. 16-cv-4294; Yurok Tribe, et al. v. U.S. Bureau of Reclamation, et al., Northern District of California, Case No. 16-cv-06863). Represent egg farmer in federal district court jury trial brought by animal rights group and local homeowners challenging air emissions under federal CERCLA and EPCRA, as well as state nuisance laws (Avila, et al. v. Olivera Egg Ranch, LLC, Eastern District of California, Case No. 2:08-CV-02488).